This essay appears with the permission of the Algerian website impact24.info, where it was published on January 14, 2015. It was translated from the French by Lorna Scott Fox. To be or not to be Charlie? That is the question. It currently divides North and South, Algeria and France, the West and the Levant, the dead and the living, compassion and banality. 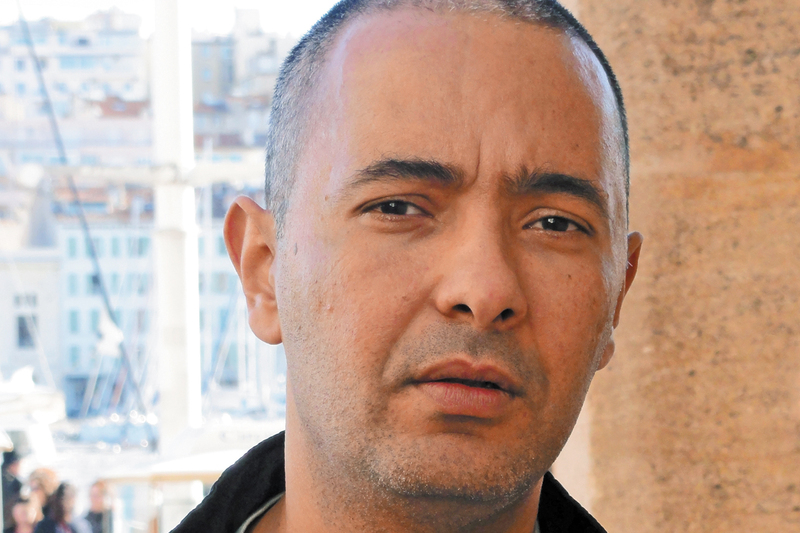 The contours of the Algerian issue: To be, or not to be, Charlie? It depends on what you read, hear, discuss or see. To be Charlie springs from shock and pity: you don’t kill cartoonists in the name of God or the Prophet. Life is given by this God, and can only be taken away by him, according to the ancient tablets. To be Charlie is to be on the side of life, liberty, humanity and reason. Thou shalt draw but thou shalt not kill. We have already lived through this back home, in ourselves, with ourselves. It is not about the French or anyone else; it’s about life, which has no nationality, only a right and a flame and a crown. Many Algerians experienced it that way. They are Charlie because Charlie is also life. And what about “I am not Charlie”? It’s because of misunderstandings, hatred, bitterness, anger or lack of consciousness, or making too much of our differences. The first two reasons are ugly; let’s not go there. That leaves the third. Some Algerians, for instance, put forward facile arguments: we stood alone during our civil war. False: journalists all over the world stood shoulder to shoulder with Algerian journalists. There’s no reason to lie, or to confuse Mitterrand with international solidarity. Others speak of Palestine. Yes, of course. Solidarity cannot be selective, whenever life is taken and there is pain left behind, no matter where. Strangely, though, the rejection of selective solidarity leads some people not to total solidarity but to a calculated disassociation. Paradox: I am not Charlie because Charlie is not Palestine and Palestine is not Charlie and so I will do nothing for either in the name of one. So here’s a question: Does Palestine ask us to disassociate from the rest of the world in the name of solidarity with Palestine? No: I’m sure of it. “I am not Charlie” also invokes religion. Which one? Not Islam, but the religion of rage: inhuman. According to the ancient tablets, Islam is the religion of all. Does that include Charlie or not? Who decides? If I don’t represent Charlie, does that authorize me to present myself as the exclusive representative of Muhammad? No. Would Muhammad have wanted Charlie’s scalp or smile? Religion is a bond with God, not an obstacle to the rest of humanity. Killing is not creating. And drawing is not killing. If you want to share this religion with the rest of humanity, you can’t kill first and talk later, because it’s impossible to talk to a corpse. Charlie has the right to draw. The Muslim has no right to kill, and the Islamist has no right to exist because he kills both, and the jihadi has no right to breathe because he kills us all. I reject “I am not Charlie” in the name of religion because a religion belongs not to an individual but to all those who want to belong to it. Or not. Preaching is not killing, and no one is converted in the coldness of death. That is if we’re speaking to the crazies in the language of the crazies. Which leaves us with “I am not Charlie” because I’m not anybody. That is the complex situation of a huge number of Algerians. Not the hateful, the embittered, the fanatical, the insidious or the half-wits who will go on about other horrors, doing nothing about them, but invoking them so they don’t have to be Charlie. The civil war destroyed life in our country. In our heads. There has been a terrible banalization of the genocide in Algeria. We are a people “beyond.” We look, we turn away and drink our coffee. Because we’re inhuman? No, because so many of us have been killed that we see death as a scratch and slaughter as graffiti written in blood. That’s all. In this case, to say “I am not Charlie” is not to stand against Charlie but to say, “I don’t know who I am anymore.” Because the question is: If “I am not Charlie,” then who am I? Not against Charlie, not with the killer, not anything, not involved. Complex. As for me, the op-ed writer, I am Charlie, deeply so, and I say so and accept the consequences: I prefer a man who draws to a man who kills. Everywhere. There is nothing to discuss, no nuanced view, no other choice. I love freedom too much and would rather defend a freedom than split hairs; I haven’t got the time. Defending freedom, I can argue with a cartoonist. But when I do not defend freedom, I could end up alone with a corpse, or alone and also a corpse. Defeated. I am Charlie, I am not French, neither a Westerner, a flunky nor a shopkeeper. It’s just that I love freedom, and I’ll stand up for it, and again, freedom has no nationality. Only a taste, a fragrance, a skin, a sign and a laugh. I love it too much. It is what I want to pass on to my children.